Buy 1 for $13.94Buy 2 / Save $0.74!Buy 3 / Save $2.79! Dandelion is one of the best thought of popular depuratives. Its extract is sometimes used to bind pill masses; it was once thought to be a tonic and depurative. English doctors have recommended it in liver problems. Peniberton administered it in the form of tea, or purified juice in a healthy liver; Van Swieten boasted its effectiveness in visceral congestion, intermittent fever and hypochondria; he mixed the juice of this plant with that of chervil, cress, fumitory and soapwort. The juice was obtained by bruising the fresh plants, expressing them and filtering cold. Later, it was given the name herb juice. Bonafos used the same product for dropsy; Zimmermann used it on King Frederick of Prussia when he was affected by this health issue. The Dandelion is a very important plant in homoeopathy. Despite the suggestions not to use during pregnancy, my midwife recommended it for PUPPPS associated with first time pregnancy or mothers bearing twins. 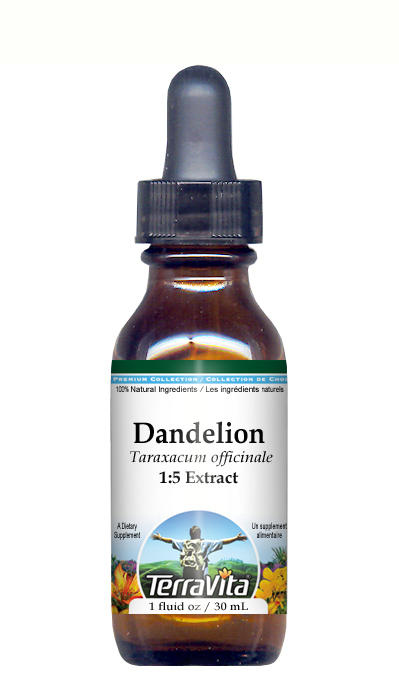 Dandelion Tincture worked quickly and effectively to alleviate the miserable side affects associated with PUPPPS.